Africa is full of natural wonders and comprises of several cities that are blessed with nature’s blessings and hence showcase greenery and life. As far as Sahara Desert is considered, it is one of the hottest deserts in the world. Hence, you might notice a wide variation in the plants and animals found in here. They have modified themselves according to the geography and climate of the desert and hence have made a possibility to survive in such arid conditions. You will really get fascinated to visit this place and have a look at the way how people live in here. Apart from this, you can also get to know the tradition and cultures of this place. In order to reach the Sahara desert, you can reach Morocco and then travel to this place. The international airport in Morocco is well connected to most of the nations and allows the visitors to visit the desert area. If you wish to make your trip a great experience, you should surely explore the cultural as well as natural wonders here. 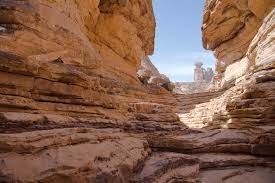 The oases, sand dunes and amazing rock formations provide you the best sites for visit. Tanezrouft Basin also known as the Land of terrors is one of the most popular places which should not be missed by you during your visit. You can also take a guided tour and go for the sightseeing of the animals like sand fox, jackal, hyena, oryx, Barbary sheep, reptiles and various birds. The animal species found here are exotic and you might have never seen them before. 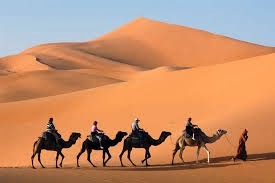 A camel trek is another exciting activity that can be done by you. You can have an experience of the trading caravans like the nomads by going for a camel ride. The place also comprises of the remains of the historical buildings. These stunning monuments are worth a visit during the trip. 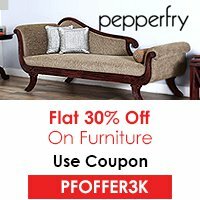 You can also get gifts like traditional necklaces etc. for your loved ones from the lively bazaars and markets in the city. Though Sahara Desert is a place that has sand all over but accommodation is offered in a traditional manner that has a touch of luxury. 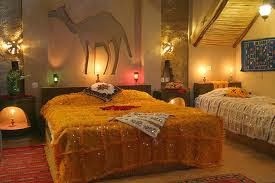 Some of the best hotels here include Hotel Merzouga and Auberge du Sud. 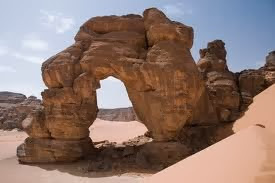 Sahara Desert is an outstanding place with amazing rock formations and sand dunes and the visitors can also go for a safari and enjoy the sightseeing of exotic animal species.